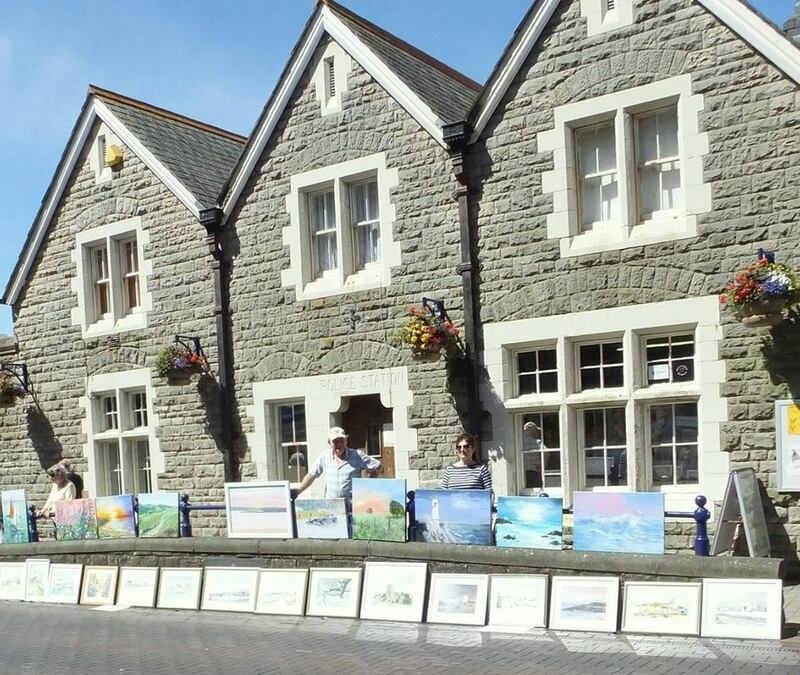 This is one of the oldest established Art Societies in South Wales and features a permanent exhibition in the historic Old Porthcawl Police Station, situated in the centre of the main shopping street (above the museum). The Gallery is open most days and offers free admission. All are welcome to browse and admire the works on display or purchase a picture of their choice from an average of over a hundred pictures. Ranging from subjects of local scenes, to flowers and animal studies. The exhibition is constantly changing, and with a total of four major competitions held each year, is well worth your regular visit. On Saturdays in fine weather you can meet us in the street outside the gallery where we also have our pictures on display. If you would like a picture on a particular subject please talk to a society member at the desk, most members will undertake a commission. We also have a painting on display that you could win by picking a number for only £1 per number, well worth having a go. Our members meet to paint and share ideas and inspiration on Wednesday afternoons 1.30 - 4pm and Wednesday evenings 7 - 9pm throughout the year. In addition there are trips and social events throughout the year. There are four exhibitions during the year held at the gallery in St John's Street. We have a coffee morning on the opening Saturday of each new exhibition. Come along and enjoy the new show. The Old Porthcawl Police Station, situated above the museum.